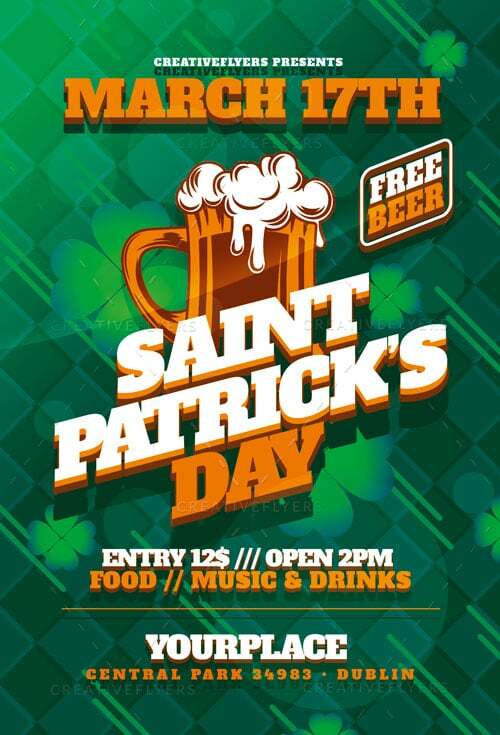 St Patrick’s Day Flyer to promote your next Party & Event. Photoshop Template PSD fully editable and ready to print ! 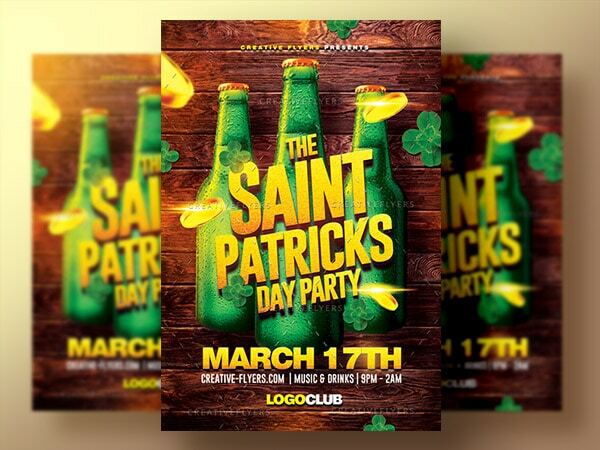 St Patrick’s Day Flyer to Print editable with photoshop ! 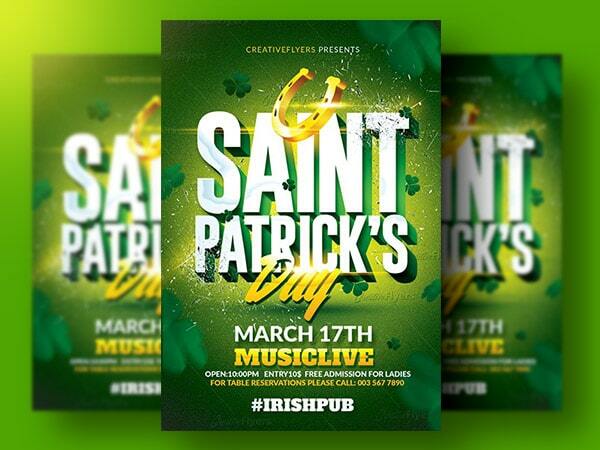 St Patrick’s day flyer psd ready to print, customizable design with photoshop, All written text can be changed, In the Help file you will get the download font links ! 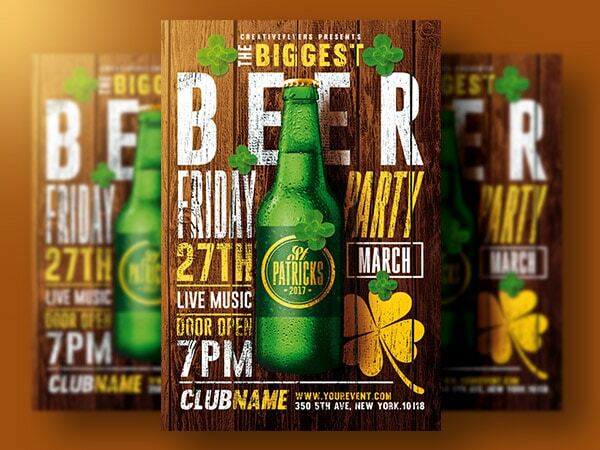 Creative Flyer template to promote your next St. Patrick’s Day party in a bar, lounge, nightclub, private party . You can also use it as an E-flyer on your magazine and social network !